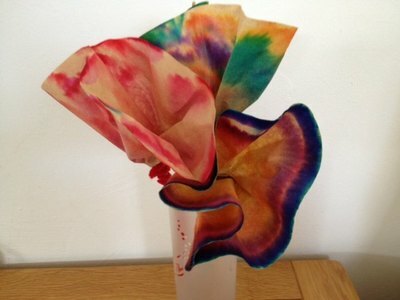 Older children will be able to create these coffee filter flowers themselves. Pre schoolers don't need to be left out either. 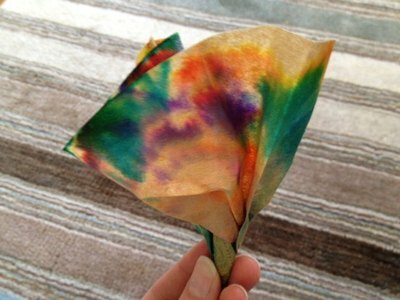 My toddler enjoyed being let loose with felt tip pens and was happy to watch as I turned his decorated filter into a flower. There's something quite exciting about watching the water spread up through the coffee filter and blend the colours. 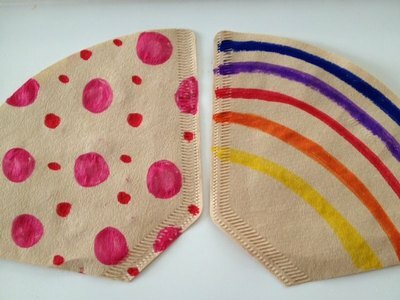 Lay out the coffee filters and felt tip pens and let children experiment by drawing any patterns they like. Younger children will go for the inevitable fun scribble while older children will create something more defined. 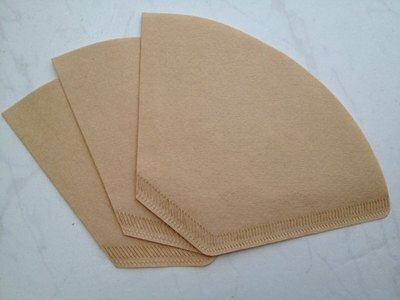 Pop the coffee filters into a wide mouthed glass to hold it upright and still. Spray a little water in the centre of the decorated filter and watch while the water is drawn through the filter. It's best to start cautiously with the water and add more if needed. Look at how the colours bleed and mix together. Leave the filters to fully dry. Twist the coffee filter at the pointed end. 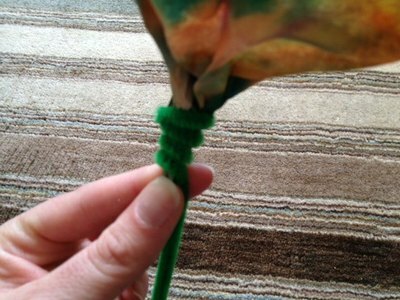 You could even make a whole bunch and display in a vase.